By Aashrithaa Properties Pvt. Ltd.
How Far is Aashrithaa Aspire? 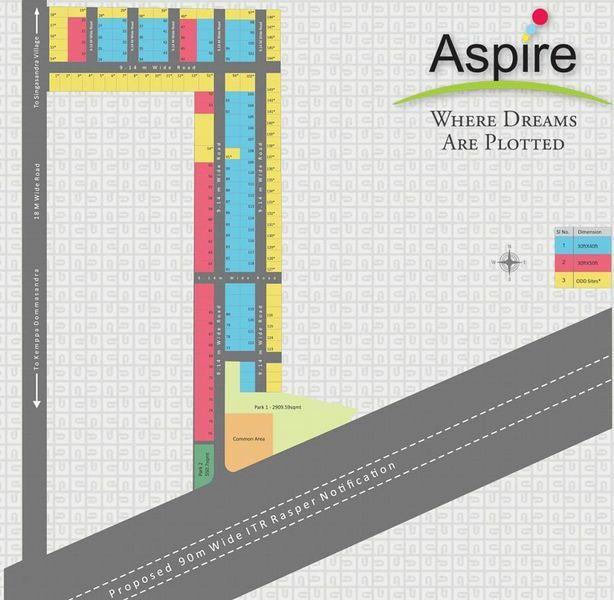 Aspire, an 8.5 acre specialist ready to build residential plots in the heart of Anekal town. A stone's throw away from Prestigious institutes like Shirdi Sai Engineering College and Alliance Business Academy. The development comes with the assured quality process and basic paperwork guarantee to make it a stress free buy for you to build as you please. About Aashrithaa Properties Pvt. Ltd.
With a clear vision to transform the way people perceive quality, Mr. Murali Reddy founded Aashrithaa Properties Pvt. Ltd., in 2004 to create magnificent residential masterpieces in and around the city of Bangalore. Formed with the aim of understanding and fulfilling the property needs of clients, and growing from strength to strength through several years, we are today one of the largest real estate players in the city. Begun as a new name in the real estate segment with only a couple of home projects, Aashrithaa Properties Pvt. Ltd., is now better equipped to handle bigger challenges and build all kinds of plots, premium villas and luxurious apartments. Since inception, we have always embraced innovative ideas, benchmark quality, robust engineering, dedicated execution, uncompromising business ethics, customer-centric approach and timely deliveries. All these values, along with our solitary mantra for success – No compromise in quality – have contributed in making us a preferred real estate brand in Bangalore. With over 1.5 million square feet of land already developed and a land base of more than 1.5 million square feet spread across Bangalore and the suburban city areas yet under development, we have proved to have all the competencies to deliver projects right from conceptualization to completion. Our in-depth knowledge of the real estate market, legal factors and financing options has enabled us to draw both property users and investors to strike deals with us.